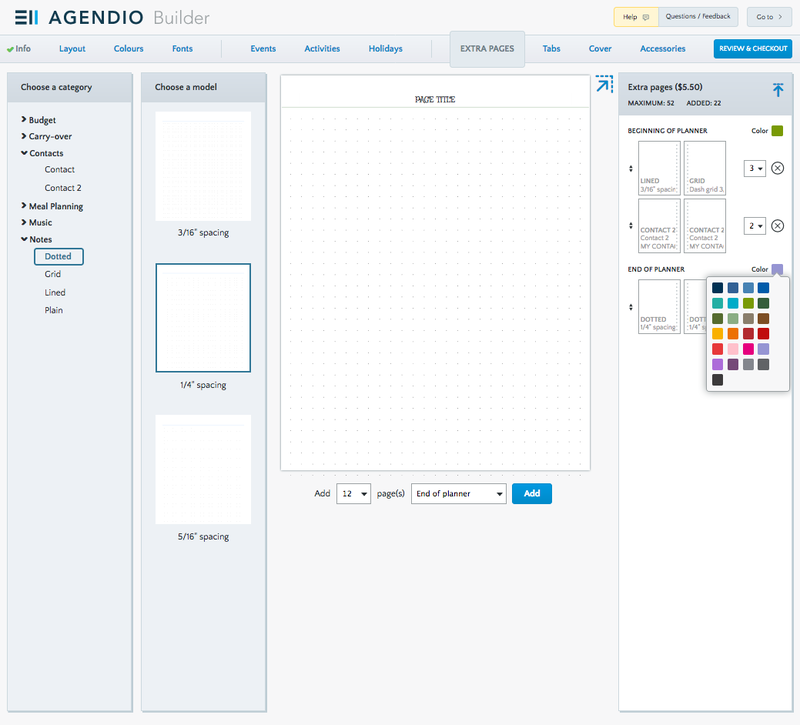 If you bought an Agendio last year after we expanded our extra page section, you may have noticed that we chose the accent color for those pages, to match your first or last month. Now you can select your preferred color from our two dozen print colors and you can select different ones for the beginning of your planner and the end. On the right of the Extra Pages page you will see two color squares. Roll over either of them and a color picker will appear. Roll over your preferred color and click and you’re done.